Richard Hinrichs trains, teaches and performs widely with his Lipizzan and Andalusian horses, demonstrating the fine art of classical horsemanship. 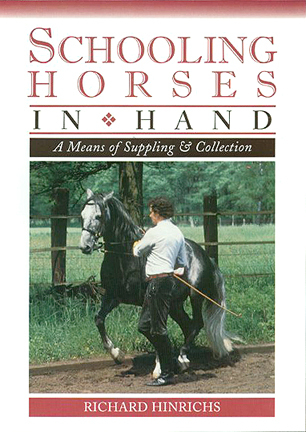 With the DVD he presents this program for trainers and riders to show how schooling from the ground builds trust, obedience and balance in the horse. It clearly demonstrates that in-hand work is an excellent way of supporting and complementing work under saddle. And it can be especially helplful for riders striving to achieve the higher level movements for dressage competition. Aids and their application, work on the longe, fundamentals for work in hand, suppling and collection, shoulder-in and half-pass, sreparations for piaffe and passage, the Spanish walk, long-reining, and airs above ground.